Jupiter Magnetics Private Limited, being one of the most determined manufacturers of Permanent Magnetic Overband Separator In Rewari, has earned a great reputation in the domain for delivering only the best products. Our product collection comprises of Permanent Suspension Magnets, Magnetic Pulley, Magnetic Grids, Precast Concrete Magnet, Plate Magnets, Magnetic Drum Separator, Magnetic Roller Separator, Magnetic Ferrous Trap, Magnetic Coolant Filter, Scrap Lifting Magnet, Magnetic Rolls, etc. 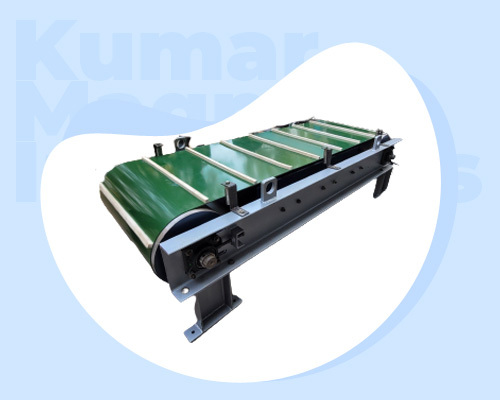 Being one of the paramount Permanent Magnetic Overband Separator Manufacturers In Rewari, we keep our manufacturing standards high and to maintain that, we check the quality on different quality parameters to make sure our clients will get what they have paid us for. Our priority is our patrons and we keep their demands in mind and work hard to cater the same in the less possible timeframe. All our products are available in different specifications that you can choose according to the requirements you have. We have earned the reputation among the preeminent Permanent Magnetic Overband Separator Exporters and Suppliers in Rewari. Browse all our products from the website and get to know more about their specifications. You can also send an enquiry or speak directly with our executives to place your order or ask for any modification that you want.